You've undoubtedly used your email address to sign up for a chance to win something online or to purchase something on sale. Often, these offers are too enticing to pass up, and you reason that you'll live with the consequences of handing out your information for the chance at making out big. Sooner or later, this all adds up to more and more junk mail in your inbox, most sent from places you've never even heard of. The more your email address is out there, the more you're bombarded with dozens of emails each day, flooding your otherwise pristine and organized inbox. While most emails will offer you a link to unsubscribe, it often means you have to log in to an account, go to the privacy settings, and get yourself off the mailing list. Other times, there's nothing that even shows up to help you unsubscribe, leaving you to either deal with it, or use all-encompassing services like UnrollMe. This is a great tool, but requires that you sit and actively go through your subscriptions one by one. 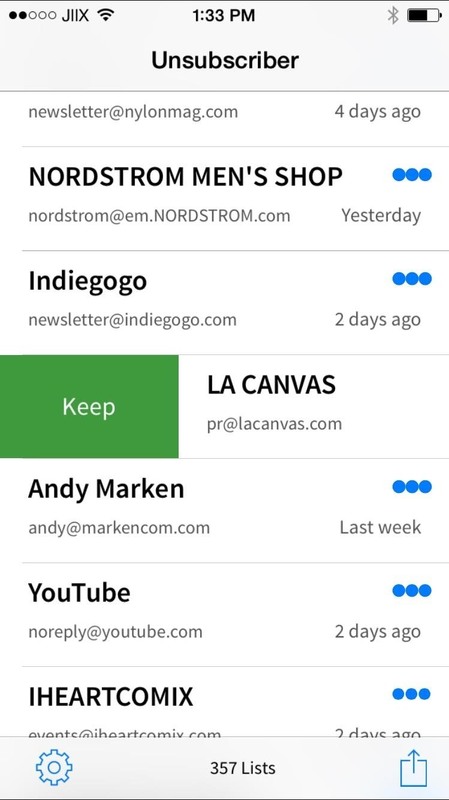 Unsubscriber for Gmail for iOS devices, by 410 Labs, neatly organizes your mailing lists into an easy-to-view list, allowing you to unsubscribe by swiping left and maintain subscriptions by swiping right (à la Tinder). 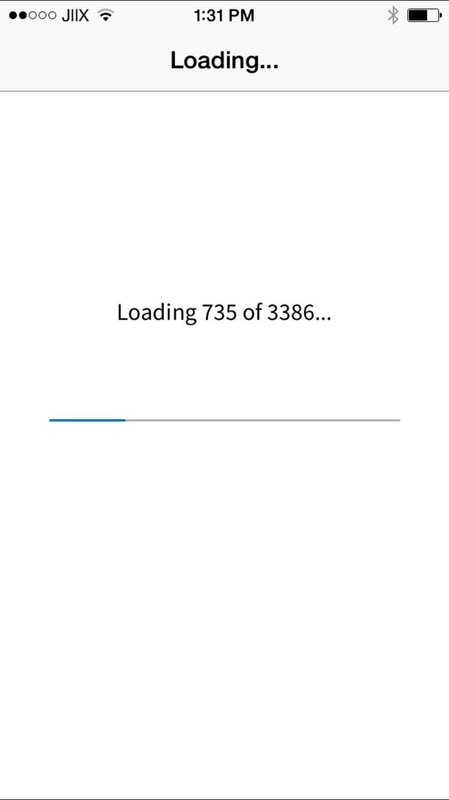 Best of all, you can do this directly on your iPad or iPhone. 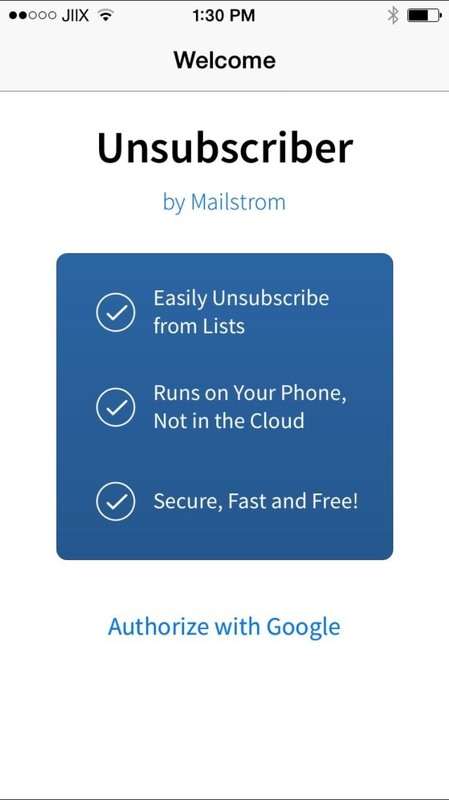 Start by authorizing your Gmail with Unsubscriber; the process should take anywhere from a few seconds to a minute depending on how large your inbox is. 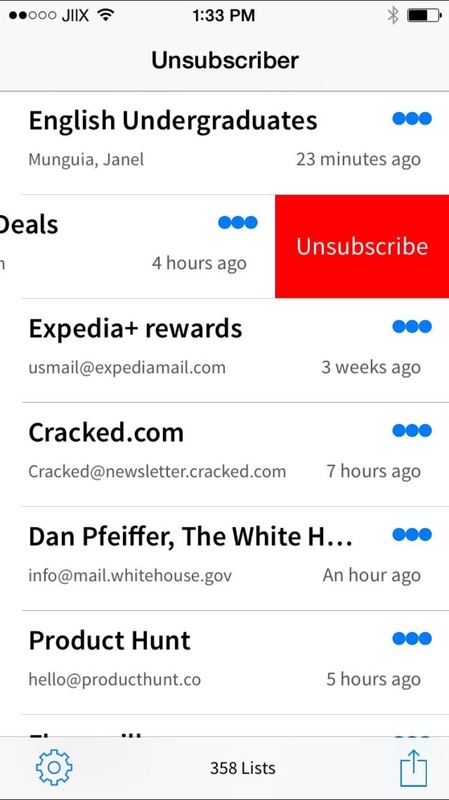 The app unsubscribes by sending an email to the closest client available, instead of creating a filter to hide them. Also, don't worry about it accessing your emails; everything is secure and private on your end of things because all of the information remains on your device. To keep the subscription, swipe right. Next to each newsletter is a three-dot menu where you can view how many messages you've been sent and the timespan in which they've been sent. 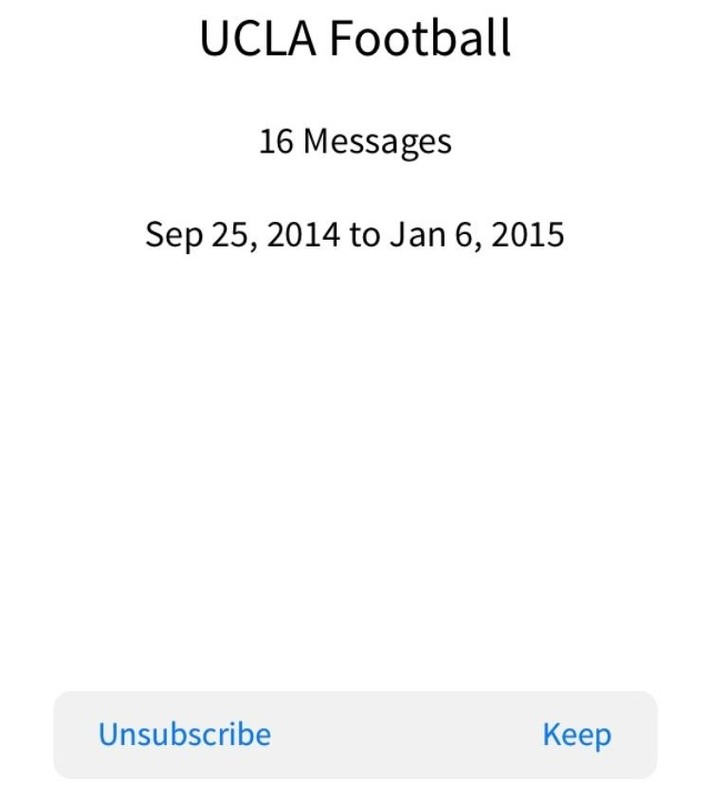 You'll also be able to unsubscribe or keep the subscription at the bottom. After unsubscribing from a few people/companies that send me emails every day, I've yet to receive anything from them in the past couple days. Let us know how Unsubscriber for Gmail works for you. Leave us a comment below, or hit us up on Facebook, Google+, or Twitter.